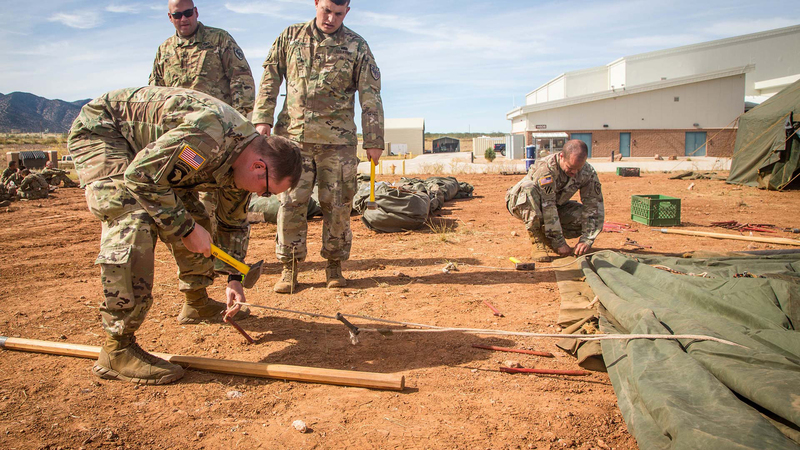 / Modified nov 9, 2018 4:23 p.m.
U. S. troops set up temporary housing at Fort Huachuca. The continuing deployment of U. S. military troops to Southern Arizona is drawing concern from border watchdog groups. President Donald Trump ordered up to 15,000 soldiers to the border as a caravan of potential asylum seekers moves northward through Mexico. Troops were seen installing razor wire in Nogales, Arizona last week. Tucson border rights advocate Isabel Garcia says it's difficult to know what migrants will encounter at border checkpoints. "Imagine all of us as Americans seeing those optics, to see troops, armed troops, placing concertina wire on top of all the walls between two neighbor nations," she said. The operation has also drawn concern from community leaders in Nogales worried about the economic impact there. Santa Cruz County Sheriff Tony Estrada has complained the federal government did not consult with local agencies before moving troops and resources into the area.